Gaia Color Chart for easy reviewing: Click Here! 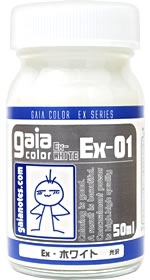 To dilute the lacquer-based paint, including Gaia color. Fast drying, for air brushing.